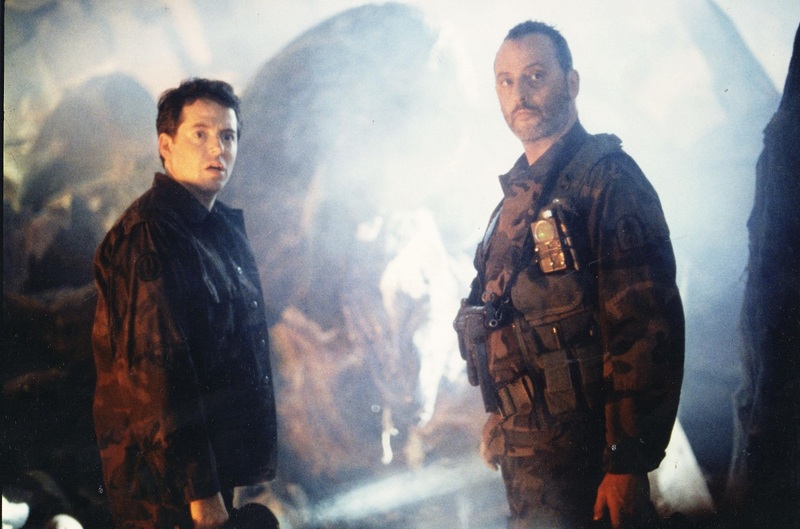 New York City has long been the setting for numerous movie disasters, vengeful aliens and terrorists (not to mention the Stay Puff Marshmallow Man from Ghostbusters). 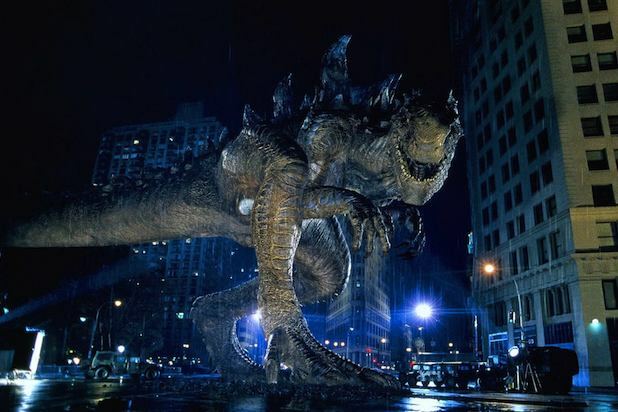 In Godzilla, directed by Ronald Emmerich (Independence Day, Stargate), the monster does what it supposed to do – destroy the city by land, sea and air, but somehow the formulaic storyline actually turns on itself. The film generates excitement and situational comedy from the action sequences which have expert camerawork, thundering sound and awe inspiring special effects (mostly shot in rainy settings to hide flaws and imperfections). The reaction to causes of the action against Godzilla represents the most interesting aspect of the film because the justifications for those actions are very weak. The typical action film formula requires the bad guy to die in the end. But if Godzilla represents the bad guy, then why does the audience sympathize with Godzilla more than the human characters? The audience has no real emotional attachment with to the characters who provoke Godzilla into random rampages and rageful violence. Matthew Broderick’s character, scientist Nick Tatopoulos, uses intelligence to solve the city’s problems instead of the violence the military characters initiate. Nick’s ex-girlfriend and aspiring reporter, Audrey, (Maria Pitillo) and a daring camerman named Animal (Hank Azaria) play the news media along with Philipe (Jean Reno), a mysterious French insurance agent. The film builds these characters slowly in the beginning, but then deeply blends them into the action in the second half of the movie to keep the momentum of the movie at full speed. Godzilla entertains mainly on the action level with bits of comedy, but the film hits an emotional punch when the audience reacts to the military’s methods used to rid themselves of Godzilla. “The whole thing started when they started shooting at it and that’s why I didn’t like it as much as I thought I would.” This comment from a fellow movie patron sums up my feeling towards the movie very well. I recommend this film with reservations (**1/2 out of four stars). See which character you have the most feeling towards at the end of this entertaining, but emotionally tragic film. This entry was posted in 1990s Film Reviews, Film Reviews and tagged Film, Godzilla, Michael Siebenaler, Mike Siebenaler, Monster, Tall Writer. Bookmark the permalink.